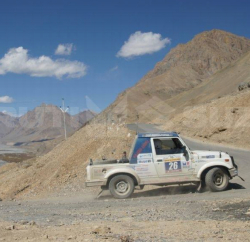 Uttrakhand: In a national level Car Rally, organised by Himalayan Motorsport Association in Uttrakhand, Richa Sharma of HP Police Dept was awarded with the best navigator prize. 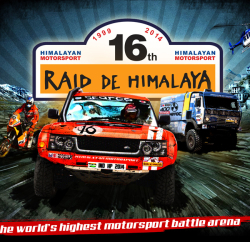 Rally was held in Uttrakhand from 21st Dec to 24th Dec 2013, where Richa Sharma and Munish Mehta of HP Police participated. The HP Police team stood 7th in the sports Utility Vehicle category and 10th in the overall event. It’s noted that the HP police team had participated in this car rally with a simple vehicle without any gadget, whereas vehicles of other participants were equipped with modern gadget like GPS, Tera Trip, Scientific calculator, etc. Police dept believes that Richa Sharma achievement will go a long way in boosting the morale of women in the police as well as in encouraging others to participate in such rallies in future. 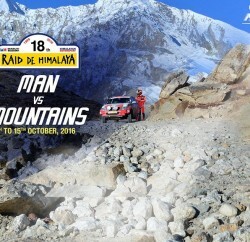 Richa had earlier taken part in Raid De Himalaya Rally and was the first woman participant of the rally.